37 CFR 1.77(b)(7) suggests that a patent application should include a “Background of the Invention.” However, the Background of the Invention can cause trouble if the drafter is not careful. 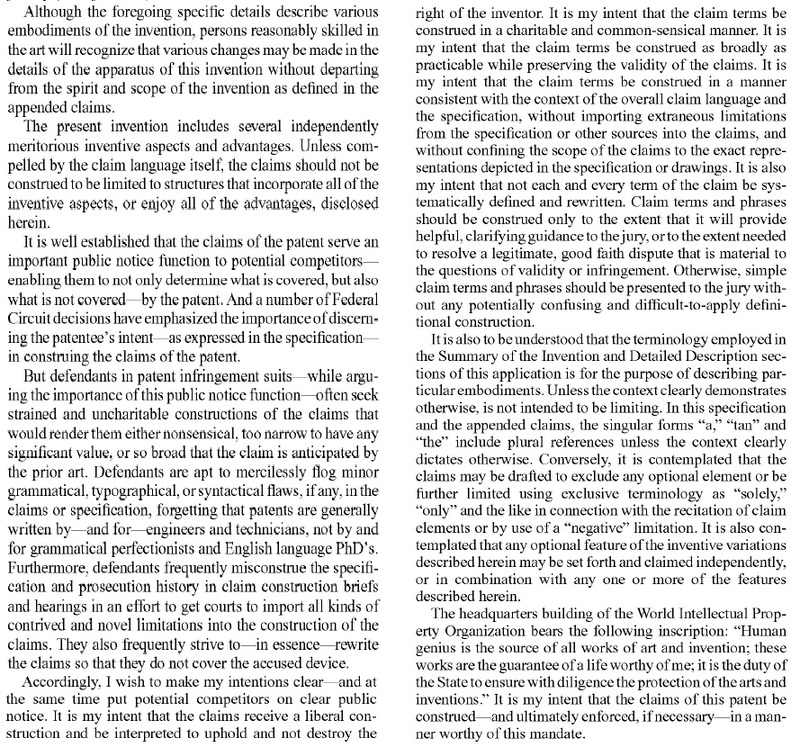 The Background of the Invention, sometimes called the “fairy tale” by older practitioners (there are number of examples where the background actually contains the fairy tale beginning “once upon a time”– see U.S. Patent Nos. 7,715,960, 7,207,929, 5,537,417 and 4,206,568), not surprisingly sets for the background information and often identifies the problem(s) solved by the invention. In contract, the best background is probably one that says as little as possible. 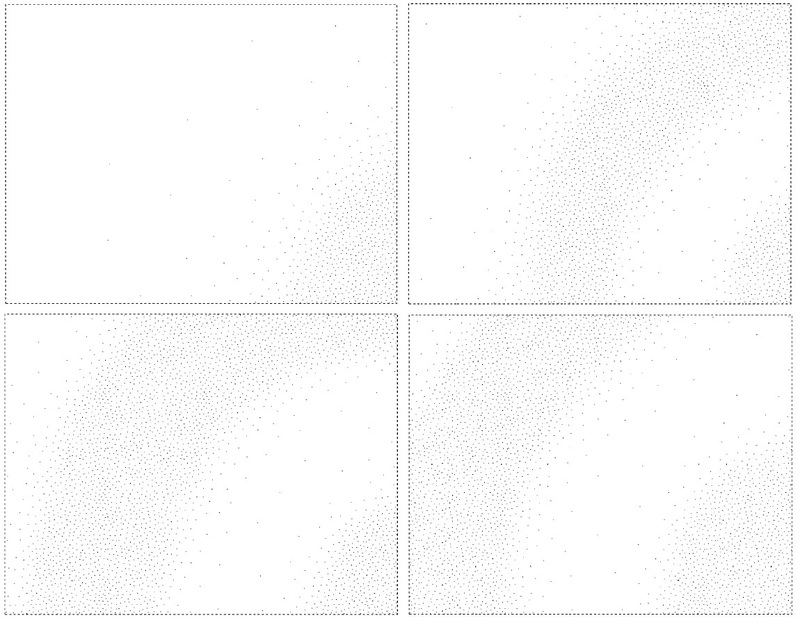 A background prepared after the invention (and they all are) can tend to make the invention look obvious, describing the problems of the prior art in such a way that the inventor’s solution almost seems obvious. This appears to be the case in the Federal Circuit’s recent decision in Intercontinental Great Brands LLC v. Kellogg North American Co., discussed here, where the identification of the problem to be solved in background formed a part of the overall obviousness determination. 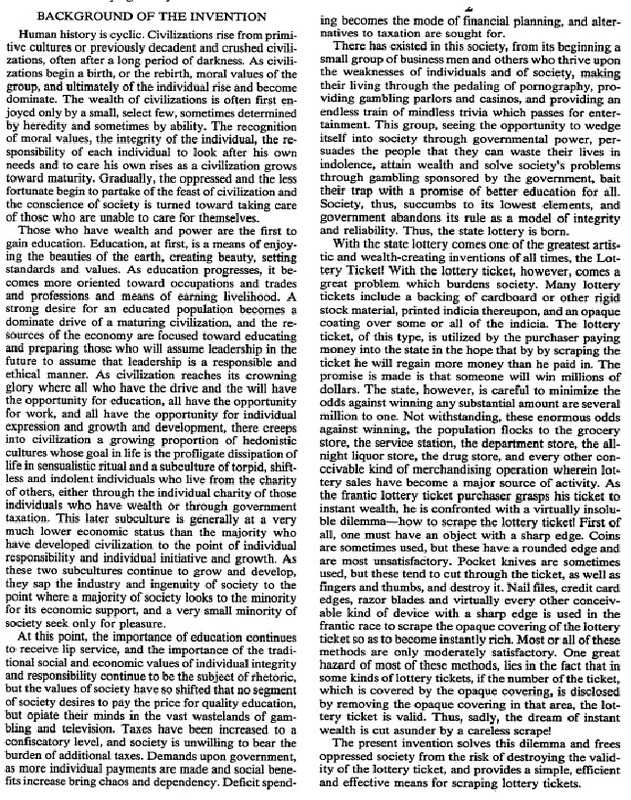 The Background of U.S. Patent No. 5,156,594 was used against the patent owner in Scimed Life Sys., Inc. v. Advanced Cardiovascular Sys., Inc., 242 F.3d 1447 (Fed. Cir. 2001), where criticisms of the prior art were used to narrow the claims. Discuss problems of “some” prior devices, rather than “all” prior art. Avoid describing the problems of the prior art in a way that makes the invention seem like the obvious extension of the prior art. And in the Alternative . . .
forming a website collective whose members include a plurality of different websites characterized by a common parameter including at least one of a common content topic, and/or a common contractual arrangement. Thus “and/or” in a claim is not necessarily indefinite, but it is not the preferred way to write a claim. All manner of boiler plate can be found in patent applications and issued patents, placed there by applicants and their counsel hoping to influence the future construction of their specification and claims, but the language in U.S. Patent No. 8,047,178, requests a “charitable and common-sensical” claim construction. Unfortunately, that’s probably too much to ask for. In Bamberg v. Dalvey, [2015-1548] (March 9, 2016), the Federal Circuit affirmed the PTAB’s decision in an appeal from a consolidated interference proceeding refusing to allow the claims of four patent applications because the specification failed to meet the written description requirement of 35 U.S.C. § 112. The involved claims disclose a method for the transfer of printed images onto dark colored textiles by ironing over a specialty transfer paper. The transfer paper generally contains: (1) a removable substrate coated with silicon, (2) a hot-melt adhesive, (3) a white layer, and (4) an ink-receptive layer. During the interference proceeding, Dalvey alleged that Bamberg’s claims were unpatentable for lack of written description, because the claims recite a white layer that melts at a wide range of temperatures, while Bamberg’s specification discloses a white layer that does not melt at ironing temperatures (i.e., below 220°C). The Federal Circuit agreed that the contested claims are properly construed to encompass a white layer that melts above and below 220°C, and thus Bamberg’s specification must also support a white layer that melts above and below 220°C to satisfy the written description requirement. The Federal Circuit concluded that substantial evidence supports the Board’s determination that Bamberg’s specification fails to meet the written description requirement. Bamberg’s specification stated that the white layer “comprises or is composed of permanently elastic plastics which are non-fusible at ironing temperatures (i.e. up to about 220°C) and which are filled with white pigments—also non-fusible (up to about 220°C),” and that the “elastic plastics must not melt at ironing temperatures in order not to provide with the adhesive layer . . . an undesired mixture with impaired (adhesive and covering) properties.” The Federal Circuit found that Bamberg did not possess a white layer that melts below 220°C because it specifically distinguished white layers that melt below 220°C as producing an “undesired” result. This criticism effectively limited the scope of the disclosure. 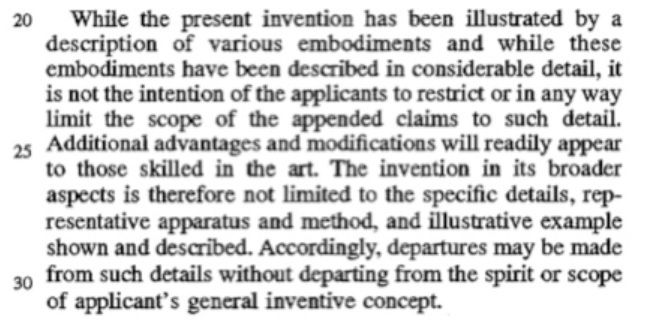 In patents, as in life, Mom was right: If you can’t say something nice about the prior art, don’t say anything at all. Otherwise, your criticism may be treated as a disclaimer of claim scope. There are two types of incorporation by reference in patent documents. The first type arises automatically from a priority claim to a prior application. If priority is claimed as of the filing date, then pursuant to 37 C.F.R. §1.57(a) the application is considered to have incorporated by reference any inadvertently omitted material from the parent application, allowing the applicant to amend the current application to include the inadvertently omitted material. The second type of incorporation by reference is a purposeful incorporation by reference pursuant to 37 C.F.R. §1.57(b) of material to avoid having to reproduce the material in the specification. To purposefully incorporate material into a patent specification, the specification must express a clear intent to incorporate by reference by using the root words “incorporat(e)” and “reference” (e.g., “incorporate by reference”), and clearly identify the referenced patent, application, or publication. Even “essential material” may be incorporated by reference (37 C.F.R. §1.57(c)), but only by reference to a U.S. patent or U.S. patent application publication, and not other types of patents or publications. The referenced U.S. patent or patent application must not itself incorporate such essential material by reference. “Essential material” is material that is necessary to: (1) provide a written description or enabling disclosure under 35 U.S.C. §112(a); (2) particularly point out and distinctly claim the invention as required by 35 U.S.C. §112(b); or (3) describe the structure, material, or acts that correspond to a claimed means or step for performing a specified function as required by 35 U.S.C. §112(f). All references cited herein are incorporated by reference to the maximum extent allowable by law. U.S. Patent No. 8573045. This language might be improved by also excluding any disclaimers. In X2Y Attenuators, LLC, v. ITC, 757 F.3d 1358 (Fed. Cir. 2014), the Federal Circuit held that disclaimers were incorporated into the patent in suit through incorporation by reference. In the event of inconsistent usages between this document and those documents so incorporated by reference, the usage in the incorporated reference(s) should be considered supplementary to that of this document; for irreconcilable inconsistencies, the usage in this document controls. Any information in any material (e.g., a United States patent, United States patent application, book, article, etc.) that has been incorporated by reference herein, is only incorporated by reference to the extent that no conflict exists between such information and the other statements and drawings set forth herein. In the event of such conflict, including a conflict that would render invalid any claim herein or seeking priority hereto, then any such conflicting information in such incorporated by reference material is specifically not incorporated by reference herein. 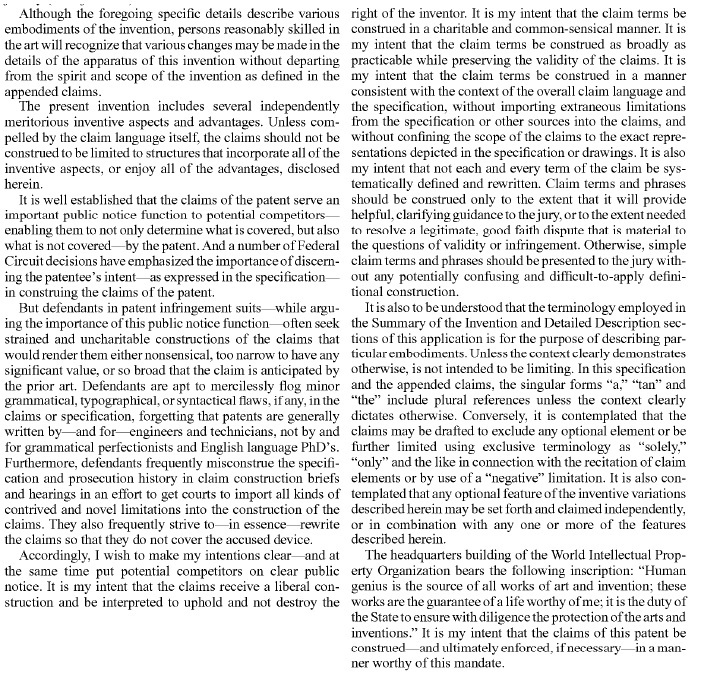 All patent applications, patents, and printed publications cited herein are incorporated herein by reference in the entireties, except for any definitions, subject matter disclaimers or disavowals, and except to the extent that the incorporated material is inconsistent with the express disclosure herein, in which case the language in this disclosure controls. U.S. Patent No. XXXXXXX, the entire disclosure of which, except for any definitions, disclaimers, disavowals, and inconsistencies, is incorporated herein by reference. unless, of course, the definitions or disclaimers are important. In addition to the inadvertent incorporation of potentially harmful material, an additional concern is the effect of incorporation by reference upon subsequent foreign filings. If these countries do not recognize incorporation by reference to the same extent as the United States does, the disclosure may be insufficient. Incorporation by reference is a great tool for patent drafters, but as with everything in a patent specification, must be used thoughtfully.